We would like to share our twelve year’s of experience, assisting International clients in purchasing their ideal home in Italy and Spain. We take care of your every need when you are considering purchasing a property with us. New Service – virtual property viewings for long distance clients – Dreamhomes appreciate that often, for reason of the distance and time, clients may decide to put off viewings, so Dreamhomes, who think out of the box, have decided to offer a service of virtual property viewings for their clients. Those clients who are interested in viewing a particular property but cannot visit until a later date, can book a virtual viewing. We are not offering you a piece of hi-tech machinery or video library but a personal service, whereby you can connect to either whatsapp or skype or messenger by video from the comfort of your sofa and we will take you on a live tour around both the house and surroundings. By offering this service Dreamhomes can help clients decide quite quickly whether a determined property or area has the characteristics the client is looking for, and therefore its a stepping stone to saving a lot of valuable time and resources. Not only do we show you the property in all its aspects, but also the surroundings, views and accessories, such as storage areas, gardens, garages. This service is available for the Lake Iseo area. Book your virtual viewing today! Dreamhomes offer a complete start-to-finish assistance with buying a home in Italy and Spain. As well as finding you the perfect property, one of our bi-lingual specialists will accompany you to view these and any other properties you are interested in; as Licensed Realtors, we handle negotiations and the legalities of the purchasing process; we find you trusted professionals such as mortgage brokers, notaries, solicitors and surveyors; and we offer a comprehensive aftersales service too. Why not take advantage of our property finding service whereby, rather than you take up your valuable time researching the web to find the ideal property, we research on your behalf, in order to find you the property of your dreams, through our many contacts with local agencies and builders. We also organize the itinerary and viewings and negotiate the deal as well as handle all the legalities and financial aspect of the sale too. As Licensed Agents, specialized in these areas we can make the whole process very simply for you, bearing all the responsibilities and communication and basically every aspect of the purchase. Our website not only offers information on the properties available but also valuable information on each area and town in the chosen location, as well as videos and blogs so you can dive into the virtual property experience and really get a feel of what we have to offer. You will also find useful information such as ‘ the ‘about us’ page which gives you a little background information about us. Then we have information on the buying process and purchase taxes, don’t forget our list of services page and for those considering refurbishing a property or maybe some artistic arrangement we have the design and renovation page and last but not least some valuable testimonials from just some of our many satisfied clients. Please use our search filtering above to quickly and simply find your Dream Home on Lake Garda. 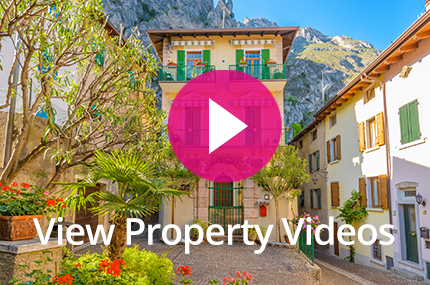 Interested in property on Lake Iseo? You can find your Dream Home by using our quick and easy search tool. Please use our search filtering above to quickly and simply find your Dream Home on Lake Como. Please use our search filtering above to quickly and simply find your Dream Home in Spain. In Málaga and the Costa del Sol you will find beautiful landscapes, fabulous beaches, delicious food, interesting customs and traditions. It means discovering a rich cultural heritage, amazing coastal areas, and charming white hinterland villages. It is unveiling marvelous secrets that will make your visit unforgettable. Please use our search filtering above to quickly and simply find your Dream Home in Tuscany. Didn't Find the right property for you?